The Syrian Civil War that stemmed out of the Arab Spring in 2012 morphed into a conflict unlike any of the other Arab Spring protests. In the years before the Arab Spring, Syria experienced an extended drought led to declining agricultural production and social discontent even before the spark of revolutionary change swept the region (see this link from TIME magazine for more information on climate change’s role in the conflict). The rise of ISIS in the power struggle has led to horrifying atrocities that leave ordinary citizens seeking the most basic of human needs: safety, shelter, food and water. Why are they going to Europe? How risky is the journey? How are Europe and the international community responding? 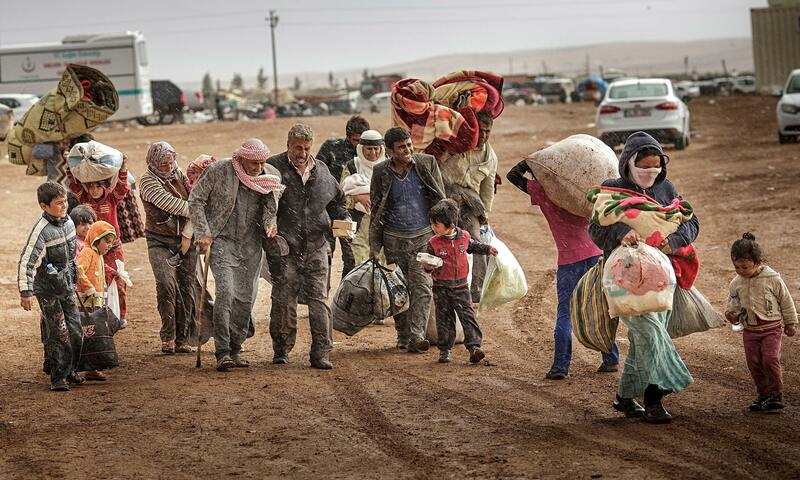 Right now in the world there are more refugees than at any time since the end of World War II. There are several regional hot spots of political, ethnic and religious turmoil. This New York Times article is a good exploration into the global refugee crisis, region by region. This is a good time to teach about the distinctions between the terms migrant, refugee and internally displaced person. All three have left their homes in search of better opportunities, but most migrants are not forced out of their homes; refugees and internally displaced peoples have no choice but to leave because of the incredibly harsh political, environmental or cultural situation back home. Staying is simply not an option for a refugee. Refugees have fled their home country (and crossed an international border into another); internally displaced people have left their homes, but still are in the same country. They are functionally refugees without the same access to international aid and often can be worse off than refugees. Do these terms matter? News outlets sometime use them interchangeably, but there are some important political consequences and legal implications to these terms (READ MORE: Migrant or Refugee? There is a difference with legal implications). The hardest part to teach is about how the rest of the world should respond. The Gulf States are not accepting migrants, and Iceland (the government) had a very limited number accepted, but Icelanders are volunteering their own homes for refugees. Here is a country by country analysis of source and destination countries (with a fabulous map). In addition to local politics, local demographics play a role in shaping national policies towards refugees. Here are some guiding questions that can help lead a discussion about some of the issues at play without forcing on particular political perspective on your students. What would you do if you lived in Syria? (This BBC interactive could help them understand the difficulties). Should other countries take in these refugees? Whose responsibility is it? What would you do if you were in charge of a European country? How would the local politics shape their international approach? Tags: Syria, MiddleEast, migration, political, refugees, regions.